Everead: "Never Let ____ Become More Important Than ____"
Wow, what a week. As you know, when the blog goes quiet, there's a lot happening in my life. In the past week both Jacob and I had some big church responsibilities: he organized a chili cookoff and I helped with New Beginnings, a special night for the young women I work with. Jacob also had a choir concert. I'm happy to report that all these things went well! In fact, all of them went better than I thought they would. There was a good turnout at the chili cookoff, the New Beginnings program was beautiful, and the children were remarkably well behaved at the concert. What have you been up to lately? I'd love to hear. 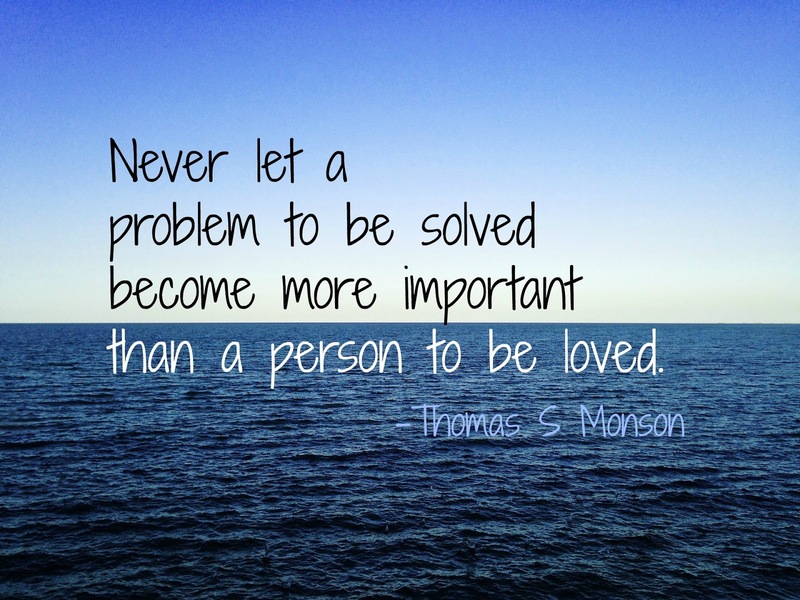 I spoke for a few minutes at our New Beginnings night, and this quote from President Thomas S. Monson is part of what I shared. I am finding it to be wonderfully applicable in my life. When it comes into my mind, I get good perspective on what is important. If you were going to fill in the blanks, what would you say? 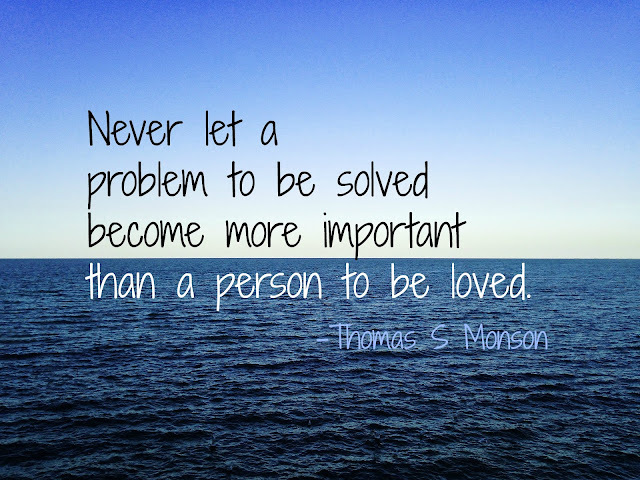 "Never let ____ become more important than ____."